Sipi is the paradise of Eastern Uganda. 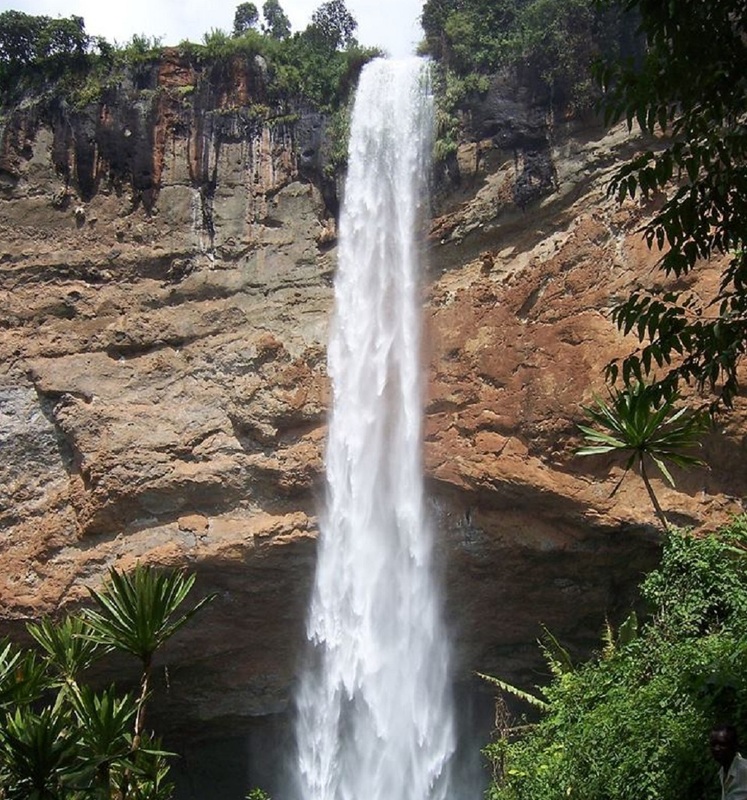 The area is home to the Sipi falls on river Sipi that flows from mount elgon. These falls are in three levels, on the same river and are a key highlight of every trip to mount Elgon. It is a favorite of all visitors to mount elgon. During the trip to sipi area, the scenic views while driving are very impressive. The breath taking scenery of the mountains and valleys offer wonderful photo opportunities. The charming water falls walk is dream-like tour in the foothills of Mount Elgon National park. The highest of the three water falls is at 100m high. The falls are naturally positioned in a setting of greenery and beautiful mountains with rainbows forming at their base. If you take the thrill of standing behind them during the visit, it is a completely a different world. If you to the Sipi falls walk , you will definitely take the unforgettable memories of Uganda with you. Most travelers going to eastern Uganda would like to add a visit to Sipi falls on their trip very easily and affordably. If you want to add Sipi falls on your trip to mount elgon without going outside your proposed budget and travel style, I have written this to help you meet your goal. Sipi water falls tour doesn’t require any special arrangement. The area has experienced local guides who are readily available to guide. it is possible to do the walk alone or in small groups without any hustle. Only local guides are allowed to take the tourist. This means, if you come with your safari guide who are not resident in Sipi, they will have to hand over to the local guide to take you to the water falls. The water falls walk is conducted in two levels with different prices. The first level is the short walk. On the short walk, guests go to the first water fall and return to the hotel. On the second level, also called the long walk, guests go to all the three water falls. From the local guides, an appropriate orientation and packing will be required for each of the levels. All the logistics can be easily arranged by most travel agents, tour guides or independent travelers without a problem. On request, we can arrange the walk for any guest at no extra charges. Sipi is a popular destination that in eastern Uganda. All hotels in this part of the country are able to provide information on how to travel there. The area has a big selection of hotels in all levels providing accommodation close to the falls. The water falls walk is easy to arrange from any of these hotels. Though guides will be available every where including at the car stage on arrival, it is is advisable to consult the hotel where you have booked to stay, for the best guide. Alternatively, you can go to the local guides association office in the trading center, to get the information before you decide on what to do during your stay. prices for the walk are charged per person and it remains the same whether trekking alone or with a group. Beside the water falls walk, sipi has allot of activities to participate in. Coffee is a local drink here and you will be offered a cup of fresh coffee all the time and in every home. Every family farms, roasts and brews their own coffee drink and you may choose to participate in the coffee making experience with the local family. You also have a chance to participate in a detailed village tour to experience the local life through the cultural dance performances or visiting the local homestead where you can join the family groups around pots of “ajono”, the local drink, in the evenings. Whether alone or in small groups, even a short visit to Sipi is well worth doing, given the beauty of this area. The water falls and other walks truly take you out of yourself and you will confirm that Sipi area and Mount Elgon national park is truly a must visit while in Uganda. for those interested, after the water falls walk, you can take the challenge of trekking to the top of mount elgon to experience the mountain from a high altitude. Plastic bag to protect cameras etc.